The South by Southwest (SXSW) festival ended around a week ago... But - as with any festival - it was an opportunity for promotion! 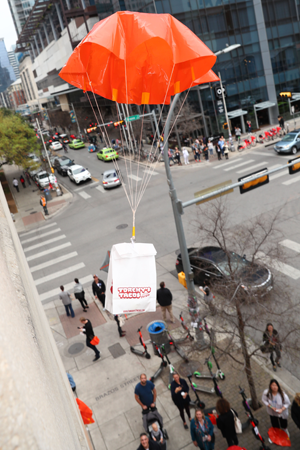 One local taco restaurant managed to promote itself, by raining tacos - by mini-parachute - from the sky!